As I powered on my PS4 and loaded “The Walking Dead: The Final Season”, my anxiety and trepidation was palpable. For almost seven months, I – as seasoned season protagonist Clementine – have been training and counselling young Alvin Jr to be a moral character in the harsh, cruel, unforgiving universe of The Walking Dead. My attempts to steer his ethical compass and moral decisions have been a long and frustrating one. Up to that point, AJ’s misguided – but well-meaning and irreversible – actions seemingly undermine my guidance; leaving me in doubt of my own abilities to direct an impressionable young boy to be a “good person”. I did not know what to expect of him. I was in severe dread and worry that my legacy (AJ at the conclusion of Episode 4 Season 4) would be a failure and a shameful reflection of me. As I would give my character’s inevitable swan song, was AJ going to be the person I hoped for and raised, or would I be Obi Wan Kenobi looking down on Anakin Skywalker? As the credits rolled, I became torn between pride and sorrow. With an entire franchise predicated on irrevocable consequences and personal choice, this was not only the last episode, but this was the last of this long and beloved unique choose-your-own-adventure videogame brand. Satisfied with the personalized ending I had a hand in crafting, this would be the final time I would have an engrossing experience with a videogame such as this – at least from this innovative developer studio. Taking an inquisitive chance on the original first season, I, like many players and reviewers, was taken aback by the exceptional and innovative masterpiece Telltale Games created. Not so much a TWD fan, I was intrigued by the choose-your-own adventure-style gameplay format which was far different than all the other well-worn genres I’ve dabbled in over my many years as a gamer. For the first time (ever!) I was playing a game where the sole, definitive protagonist was an African-America man, with a well-fleshed out backstory and personality! Enter: Lee Everett (voiced by Dave Fennoy), a character I could identify more with, even on a superficial level, than other mainstream Asian/Caucasian/female videogame protagonists. The line between me and Lee quickly became further blurred, as his approach to situations and his responses to conversations were ones I chose, rather than a predetermined script. His thoughts and actions became distinctly mine. This gave me an unprecedented sense of emersion that I never felt with any character before. In short order, Lee Everett becomes the surrogate father-figure to a scared, orphaned young (8/9 year-old) African-American girl named Clementine (voice by Melissa Hutchinson) as they try to survive and navigate the chaotic world at the onset of the “Walker” pandemic. Through the 5 episodes of season one released over 7 months, from 24 April to 20 November 2012, I had to decide whether to shield young Clem from the horrors of this new unstable world, or prepare her to face it with some humanity left intact. I found myself behoove to her approval; making choices that would place me in a positive light in her eyes as a good, responsible person and worthy role model. Through trials and tribulations, sacrifices, loss and hard decisions, there was not a moment I didn’t second-guess myself or wondered if things/events could have turned out better. But at the finale, as I slowly succumbed to the walker infection, I was filled with such parental pride and joy in the decisions I made to raise and aptly prepare Clem for the terrifying life ahead without me. I was delighted by her inquisitiveness, courage, resourcefulness and precocious nature that made me feel I did not have to baby her, in spite of her age, and that she would do just fine on her own. It was only natural that the inevitable sequel, released over a year later on 17 December 2013, that I would now find myself in the shoes of an older (11 year-old) Clementine, having to navigate the world without a mentor or guide. Before I knew it, Clem’s infectious courage, bravery, ingenuity and resourcefulness became my own, and I was able to assert myself/her in a new band of survivors along the arduous odyssey that was Season Two. Navigating the touchy political intricacies of Season Two, I became the young de facto leader of my new, diverse family made up of both young kids and adults. I did not feel this sheepish dependence on me patronizing, as I/Clem earned their respect and that my/Clem’s experience, insight and wisdom was far beyond their years; thanks in large part to the person Lee /I imparted in Season One. Unlike Season One, I became less doubtful of my decisions, and more self-assured. Despite my best efforts, people died, people I let died, and people I killed. All harsh, irrevocable decisions, but none I regret. I began to get a feel for the nuances that the Telltales Games used in their gaming code to progress their stories. I slowly learned what was an unavoidable outcome and whose “good side” I needed to invest in. I was however conflicted between decisions and interests that benefited myself, select individuals and those of my group. As the season continued, the heavy burden of shepherding everyone under my leadership and juggling the individual (mentally, emotionally and physical) needs of my group – like some depressing Maslow’s emulator – was taking its toll on me; but I could not give into despair, in spite of everything Season Two threw at me all the way to the heartbreaking, nail-biting climax. Fortunately enough, Clementine did not perish at the end of Season Two, and she became the reluctant caretaker of the infant AJ, after her entire group fell apart at the end. Clem taking in AJ was an ember of hope that she had not given up on her own humanity, and was willing to fall once again onto the sword of self-sacrifice to nurture and raise someone in this woefully forsaken, walker-infested world. And as my ending played out, I could only fathom what future lied in store for Clementine and AJ as the no-brainer Season Three would roll out. Sure enough, an astonishing three years later – broken up by newer, successful entries into the Telltale’s growing library like Batman, Tales from the Borderlands, The Wolf Among Us, et al – Season Three finally was released on 20 December 2016. To my knee-jerk disappointment, Clementine was nowhere to be seen, and the new series protagonist was disgraced baseball player Javier “Javi” Garcia – a Hispanic voiced by Jeff Schine – who winds up the substitute father/husband to his brother’s family. In many ways, Javi is cut from the same cloth as Lee from Season One, as I/he tries to do the right thing by being the man he needs to be for those under his care. This is complicated by the out-of-left-field revelation that his now slightly unhinged brother is still alive, living in a town of questionable survivors. As the story progressed, I played Javier as an altruist, seeing the best outcome for the most people, even at my own expense. But half-way through “The New Frontier”, Clementine – now thirteen – makes an unexpected guest appearance! And while my interactions with her were transitory, I still felt I had a responsibility to still nurture and guide her further along her journey. I had the serendipitous opportunity to uphold everything I started with Lee two seasons ago, or tear everything down and start anew. It was an interesting, if not tempting, “reset” button. The extensive detour with Javier was thoroughly enjoyable nonetheless. In spite of putting Clem’s chronicles on hiatus, I gradually relished my time as Javi and with his family. It created a nice dynamic that I would not have otherwise experienced with Clementine, though I still longed to see the conclusion of her tale. It was but a means to an end to indirectly position Clementine on her final journey. 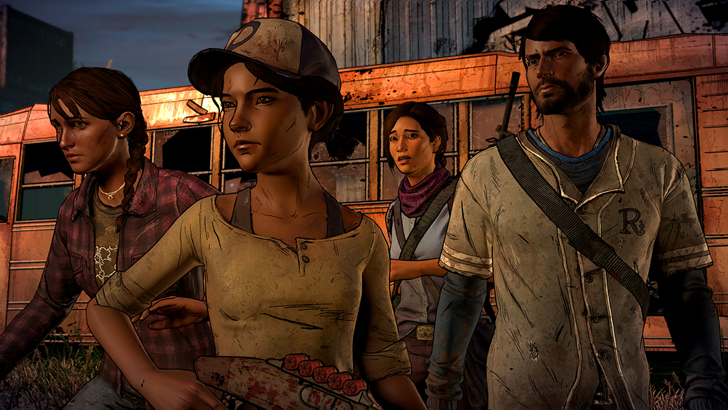 The definitive conclusion of “Telltale’s The Walking Dead” franchise and Clementine herself, did not manifest until almost 2 years later (4 if you discount the Season Three deviation) on 14 August 2018; almost 7 years after the first episode of the first season! Die-hard fans (myself included) were elated to hear that Clementine’s story would be formally brought to a satisfactory end – whatever that meant in execution. We were all just ecstatic to once again be in the shoes of the character we had been with and been since the series began and spent years (in-game and IRL) grooming. Some 8 years (in-game) since the very beginning, Clementine (still exquisitely voice Melissa Hutchinson) has become the surrogate mother to Alvin Jr aka “AJ” (voiced by Tayla Parx) – a character literally birthed way back in Season Two, and who was MIA in Season Three save for flashbacks. By this time, I was a seasoned Telltale’s player and pretty much had the “tricks” and “tells” of the franchise’s decision making-consequences mechanic pretty much down packed. I was so confident going in, seeing my (relatively) uncomplicated expedition to this point, that my smug pride was in for a brutal surprise as I loaded up the first episode of the Final Season. Right off the bat, AJ was no lil’ Clementine, and Clementine was no Lee Everett. Here I was, thinking I had everything worked out for an easy play through, and AJ just threw me for a loop. He was hard to read and gauge how he would (desirably) react to my advice, criticism, praise or scolding; but this was by no means a fault of the developers or script writers. On the contrary, it was to their credit that AJ remained so obtuse and enigmatic emotionally, yet hanging on my every word and decision – for better or worse. When I played Lee all those years ago and was shepherding Clementine, it seemed like a no-brainer with little friction or dispute. 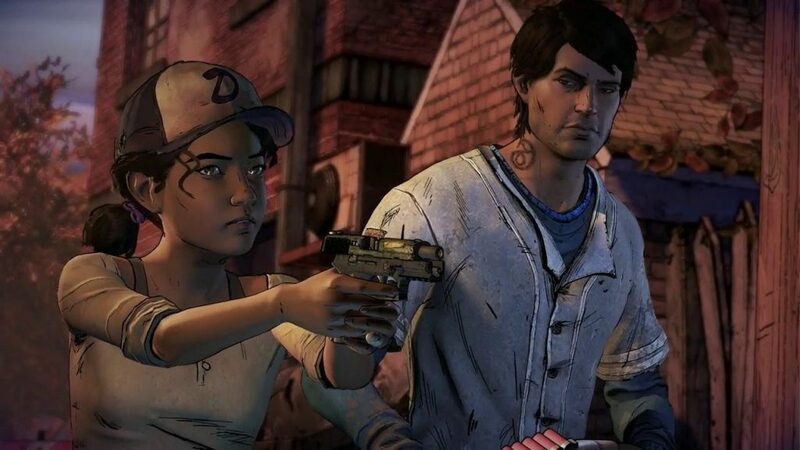 Now as Clem with AJ, it was the complete opposite. As the series continued, I found myself undermined by AJ who teetered on being rebellious and cold-hearted, as I tried to train him and be as much as an astute role model as I could. Decisions/choices gradually were motivated by fear. It was no longer about setting the right example, but more about doing it in such a way that AJ understands and accepts that way of thinking going forward. What drove this feeling home was how well Clementine herself mirrored my (parental) anxiety of who AJ was turning into before my eyes – someone I was apprehensive of and did no trust, but literally raised from infancy! At every hurtful critique AJ gave me on what I was teaching him up to that point, I felt like such a failure by the end of Episode 3. My firm confidence had all but dissipated. Reverting back to my opening statement, I reserved myself to the defeatist notion of “I did all I could”. I felt AJ was too far gone, too estranged from the kind of person I wanted him to grow up to be, and my attempts in the final episode to curtail that course was a Hail Mary attempt at best and a complete waste at worst. The story even had the gall to place me/Clem in the same scenario I found myself (as Lee) in at the end of Season One, here in Episode 4-Season 4, like some grand, overarching, poetic full-circle moment in a quadrilogy; with me, bitten, and AJ standing over me with the hardest decision he has to make. The complete ending of my emotionally strenuous play through was most certainly not what I expected. As the credits rolled, my heart and mind gave a bitter-sweet sigh of relief that it ended, satisfactory, even though I would never see this world, these characters or these types of games ever again. 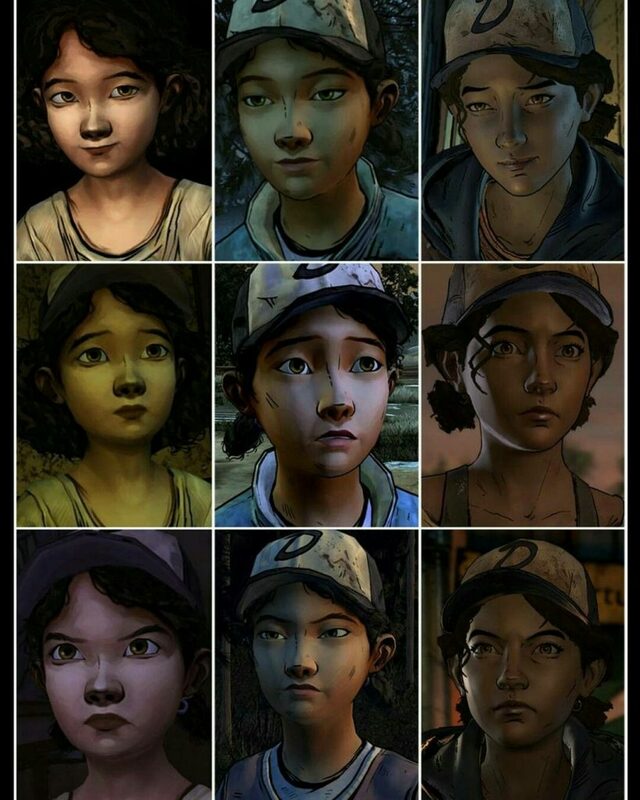 From me as Lee through to Clementine, I found that everything I went through/did all that time over these many years had come to its logical conclusion. Taking time to reflect on my seven-year-long experience within this series, I realized that this was one of the only franchises in modern times to star a decidedly African-American character (3 out of 4 times); and robust ones to boot! Furthermore, it was a subtle parent simulator from the inception. 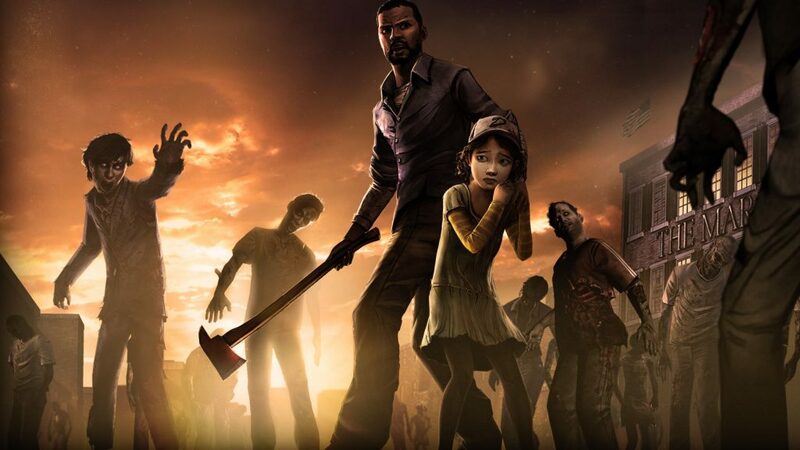 Lee finds and raises Clem, Clem is found by and protects her new group, Javier is stuck with his deadbeat brother’s family, and Clem adopts baby AJ. I’ve essentially been a parent four times; and each time different than the last, learning the limitation of my council and decisions/actions, versus the “free-will” of my diverse ward(s). All the time, you are mindful (or reminded) of the lasting effects/impressions on your ward(s), intentional or not, for better or worse. This is what parenting is. The sheer scope and sense of accountability and responsibility in this game series (at least for me) is unparalleled! This only showed me how ill-prepared any and everyone is to be a parent. You might end up with a Clementine or/then an AJ (or visa versa), but there is no way to guarantee that you’re doing a “good” job, until they step into the light and express themselves as the person you raised, or the person they’ve decided to become, in spite of or because of you. Now parenting, by no stretch of the imagination, can be summated by a videogame sim; but this sure comes close enough here that I felt the same senses of pride, joy, fear, disappointment and self-doubt parents (and spouses) feel when trying to raise a child. I took my virtual duties seriously as a way of self-examining myself as a person. Other videogame franchises dabbled with binary moral choices and a veil sense of creating your own narrative, but none to the degree of Telltale Games. *Yes, I realize the sense of true self-determination is misleading, as many events have to occur in-game only with slight variations*. Telltale Games should go down in history as a phenomenal avant-garde studio who took the chance on an African-American protagonist, created a unique and successful franchise, and was able to make me feel like a single dad (or mom in Clem’s case) without me realizing it. Its unique gameplay mechanic – though rudimentary, yet deceptively complex – has left a lasting impression on me more than most other games I’ve play in recent memory, with an unprecedented level of emotional investment in the characters and their stories. Sadly, we may never see the torch carried on by another studio. Without a doubt, Telltale’s TWD, and essentially any of their fabulous games since 2012, deserve your attention with equal measure. I have to digress to speak about the controversy surrounding Telltale Games abrupt closure late last year. 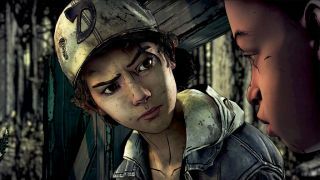 During the height of the first two episodes of TWD:TFS being release on multiple platforms, and the announcements of sequels of The Wolf Among Us, Game of Thrones and a brand new Stranger Things entry in the pipelines from Telltale, it came as a devastating shock when out of nowhere, the studio folded suddenly and without warning. On 21 September 2018, CEO Pete Hawley announced a “majority studio closure” affecting 90% of its workforce (approximately 225 to 250 employees) who learnt about their unceremonious termination the very same day. This sudden, mass layoff and closure not only confounded and appalled fans and staff of Telltale Games, but the videogame industry and gaming community as a whole. While this left the final fate of the last two yet-to-be-release episodes in limbo, real lives and families were affected by this blindsided tragedy to this day. The details and fallout have been thoroughly covered by other videogame journalist sites, and I won’t regurgitate or elaborate here. Suffice to say, I too was taken aback by the unexpected loss, and felt that the only saving grace would be that the finale of TWD:TFS see the light of day, as a means of making all those employees’ hard, underappreciated and more likely underpaid work and sacrifices be worth something. With baited breath under lingering bleak news over Telltale’s prospects, the silver-lining only came at New York Comic Con 2018, where the creator of “The Walking Dead” comic (source material) announced that Skybound Entertainment (under Skybound Games) would complete and release the last two episodes with the original development team. As such, gamers were able to complete Clem’s story on 26 March 2019. I’d personally like to give a special thank you to Skybound for their rescue, and more so to all the composers, voice actors, programmers, artists, writers, designers and all those in-between for the many years and experiences I had with your games. I wish you all the best for the future and look forward to your continued contribution of your invaluable talents to the gaming industry wherever you find yourselves.